Sole exercise bikes vary greatly in both indoor and outdoor models. Among top 3 out-standing types of this brand name, a Sole upright bike is regarded as the most popular option in the Sole fitness market. A Sole upright exercise bike guarantees to bring the challenge, realistic experience of an outdoor cycle as well as the comfort to users. In our review, we had analyzed best Sole upright cycles to help you narrow down which fit you well. 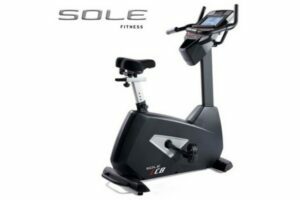 We make a comparison between two best Sole Fitness upright bikes nowadays, basing on quality, the value of money as well as ease of use. Sole Fitness is a big corporation in delivering the best fitness equipment. 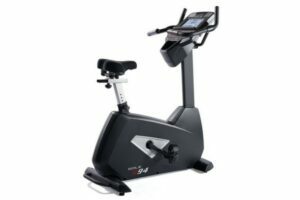 Launching in 2013, B94 Upright Bike is a great option for challenging workout as well as the comfort. To be honest, this machine is not the best one in comparison with other rivals of the same category. However, we will explain why this tool is still one of the most out-standing recommendations nowadays. First off, Sole B94 offers a variety of workout programs to users. You could enjoy all advanced features of six standard programs, two custom programs, and two heart rate programs. Coming with 20 resistance levels, Sole B94 Exercise Bike helps you choose the most suitable levels as well as workout programs. A major plus of using this smart bike is that it attempts to offer heart rate sensors. It is also equipped with an included strap to monitor your detailed information on heart rate. Next, the comfort is an important factor that people often concern about an exercise bike. According to our Sole B94 Review, the Sole B94 Upright Bike is equipped with vertically and horizontally adjustable seat and handlebars. This leads to the ease of raising or lowering the seat position to be suitable for all members of your family. Moreover, it also delivers oversized pedals with ECB resistance for each time of using. However, for a long usage over 1 hour, the seat design of this upright bike is not a great option. Then, another benefit of Sole Fitness B94 is a large LCD console. Most of the customers satisfied with a nine-inch screen, which allows the easy-to-read display to purchasers. By using this machine, key data of your health program such as RPM, Heart Rate, Distance, and Time are expressed. Furthermore, the bike delivers the convenience of water bottle holder to maintain the continuous working process of Sole B94. You don’t have to stop cycling during your training process. Then, it boosts the higher working effectiveness of the machine. A minor of Sole Fitness B94 Exercise Bike is a quite weak fan, the element to cool the whole machine. However, it doesn’t affect much on the whole working operation of this smart tool. In general, Sole Fitness B94 Upright Bike features all basic and advanced characteristics of a smart upright exercise bike. It is strong, and other components work well with each other in boosting the effectiveness of the machine. That is the reason why our Sole B94 Upright Bike Review recommends it as one of the best things for home use. Many people feel satisfied with Sole Fitness exercise bike, what about you? As the result of many studying years, Sole LCB Upright Bike is a pride of Sole Fitness for the best upright cycle. It meets all needs and demands of customers in many versions. A bike is a great option for offering a variety of challenging cardiovascular workouts. With this effective machine, losing weight and burning are completely in your hands. That is why we recommend it as one of the most outstanding choices nowadays. The first impressive feature when using this tool is the ease to assemble and put things together. Although it comes with different parts, users find it saves time with just about 30 minutes to join all components in one. Then, an important factor we had better bare in our mind is its convenience and comfort. The tool is equipped with vertically and horizontally adjustable seat and handlebars. As a result, with this equipment, it helps reduce the impact on your knees and legs. Therefore, even you cycle in a long time of usage, this seat design will bring the comfort to you. Coming with 30-pound flywheel, it is easy for transportation and even your grandmother could move the machine around your house. Other parts of the machine work well with each other in improving its convenience. More specifically, it is equipped with a built-in fan and water bottle holder for a continuous working process. Oh, and you know, Sole LCB has speakers and MP3 connectivity. Then, it boosts the entertainment feature of this machine. Not to mention the quality this would not be appropriate because we are looking at a fitness machine, not a music player. The speaker can be compatible with nearly every device out there: iPod, iPhone, Walkman, even tablet. However, it takes much time to work with tablets than RBK. About the LCD console, with 9 inches of screen, it offers various workout programs including six standards, two custom, and two heart rate programs. A major plus of this tool is that it attempts to deliver heart rate sensors by wearing a chest strap. Whether you are looking to maintain body shape, lose weight, prepare for an event, or burn fat, it is important to purchase an efficient upright cycle like Sole LCB Upright Bike. With many positive features in design, the machine is appreciated by a team of customers and professionals. It makes Sole LCB out-standing from other rivals in the marketplace.